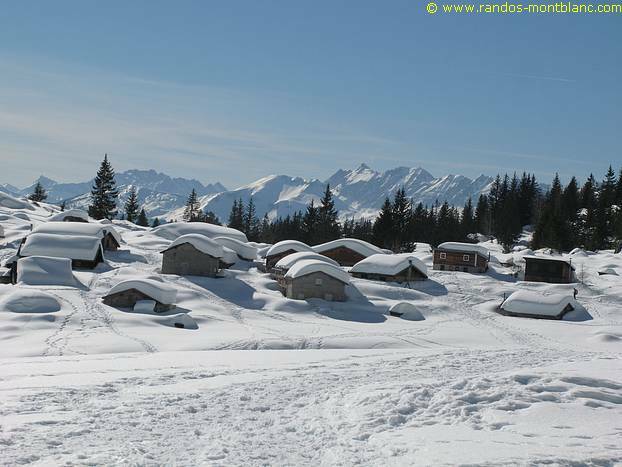 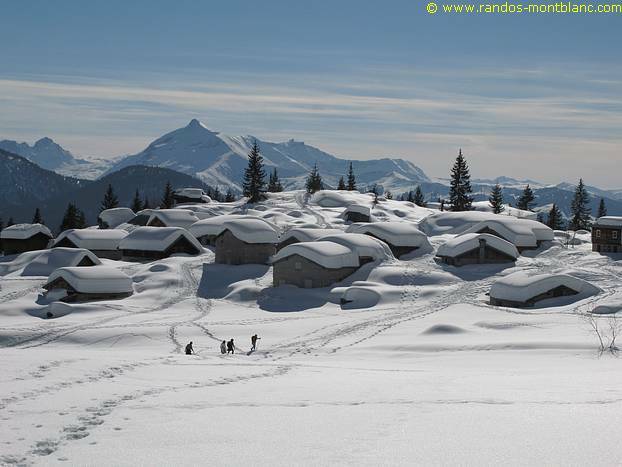 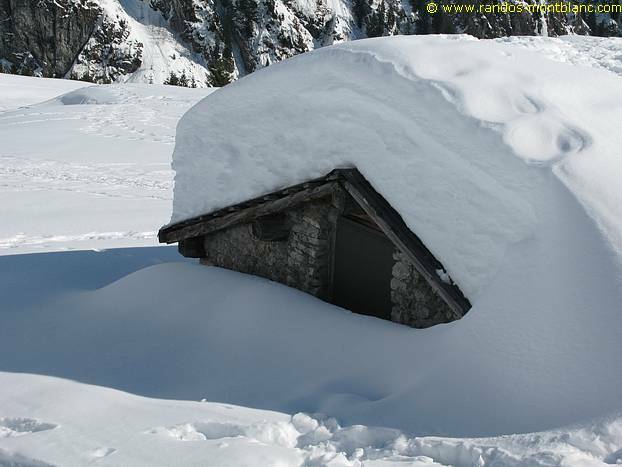 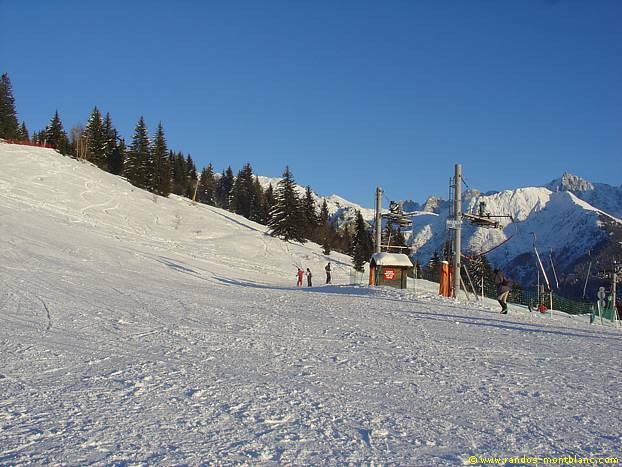 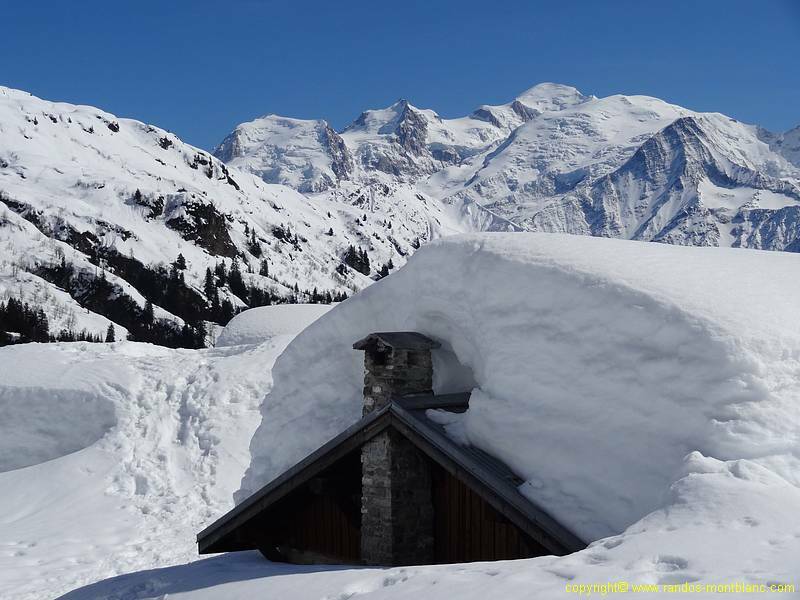 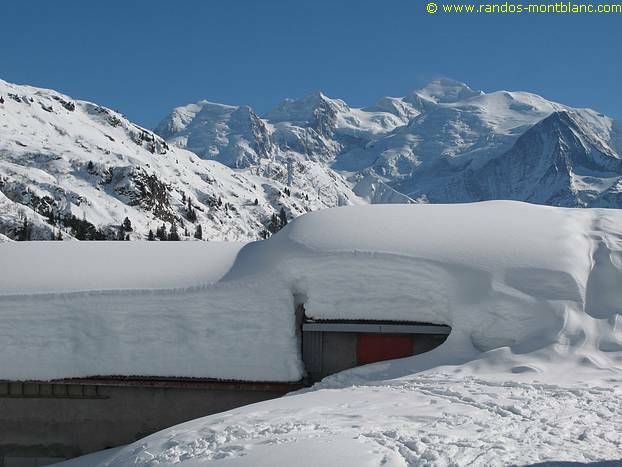 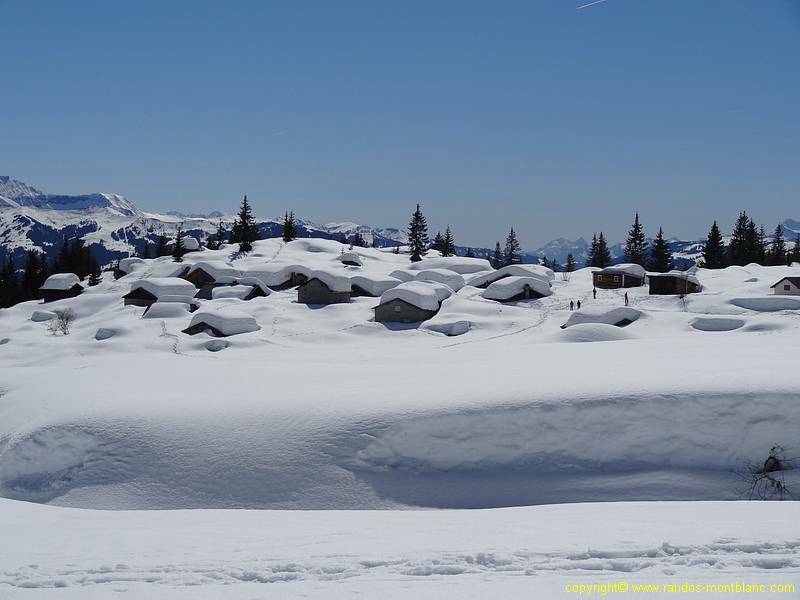 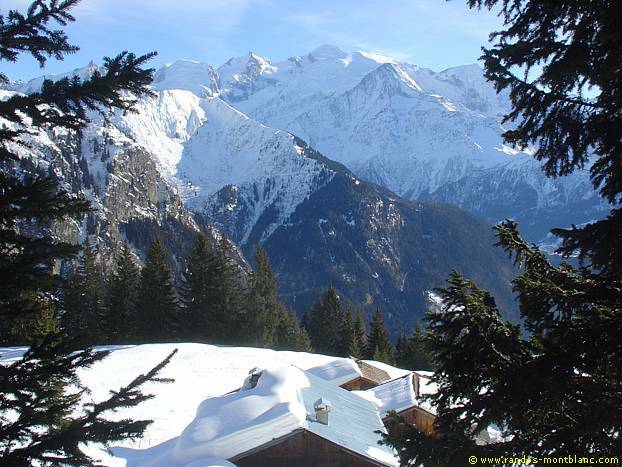 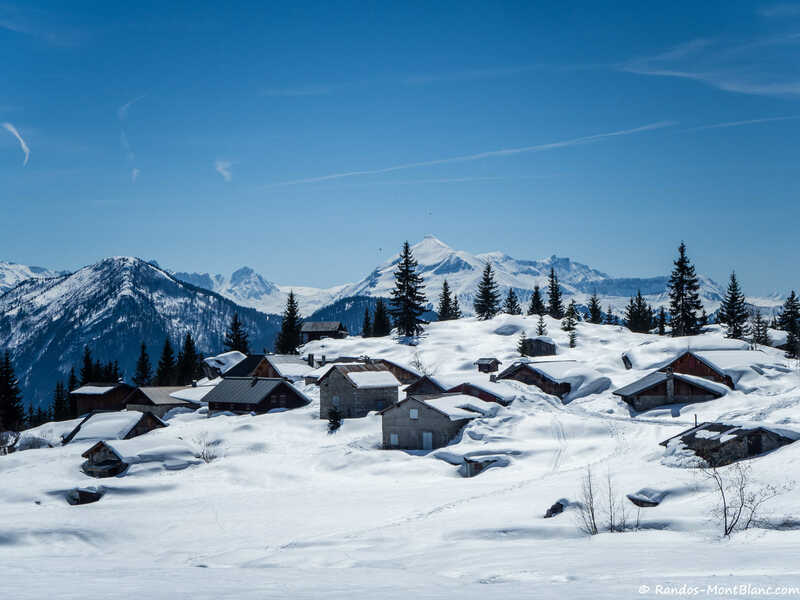 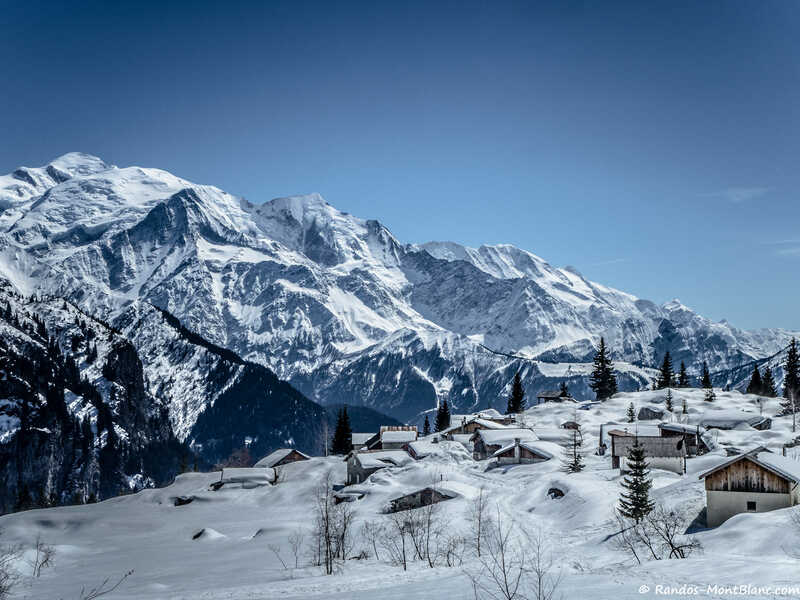 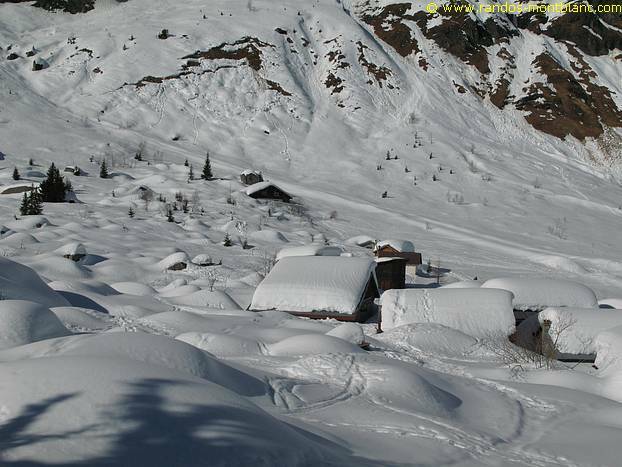 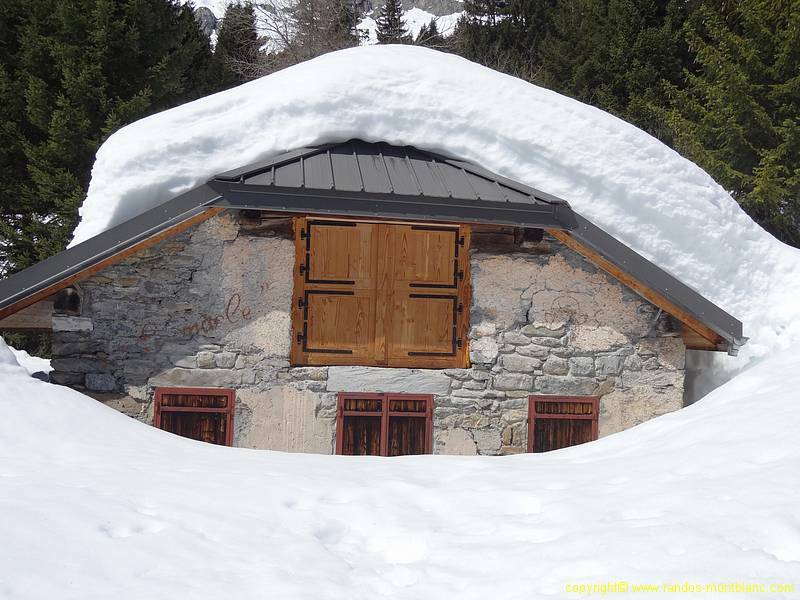 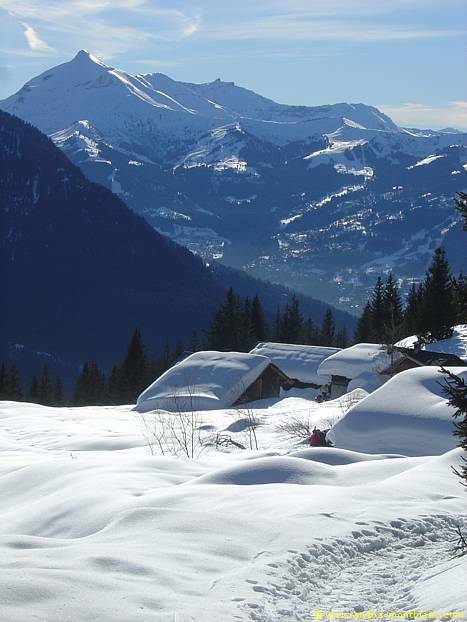 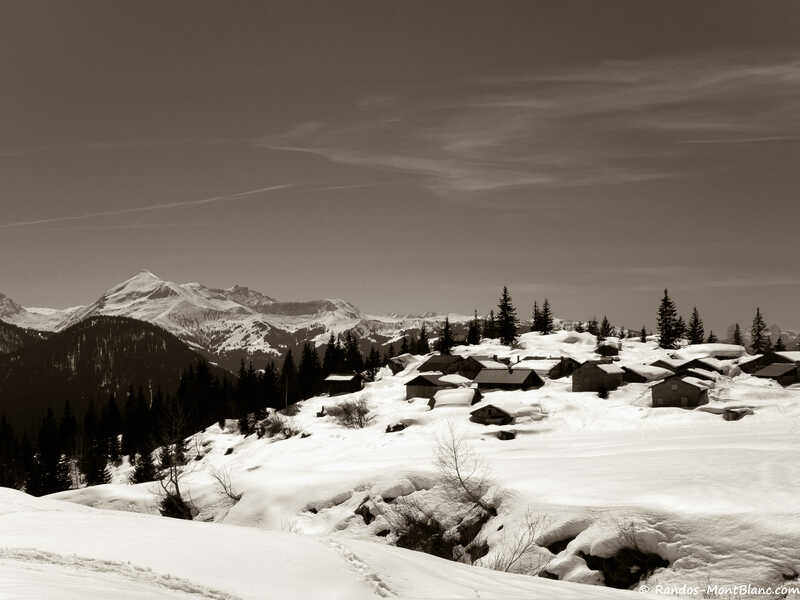 The Chalets d’Ayères constitute a beautiful scenery for a winter outing in Passy Plaine-Joux ski resort. 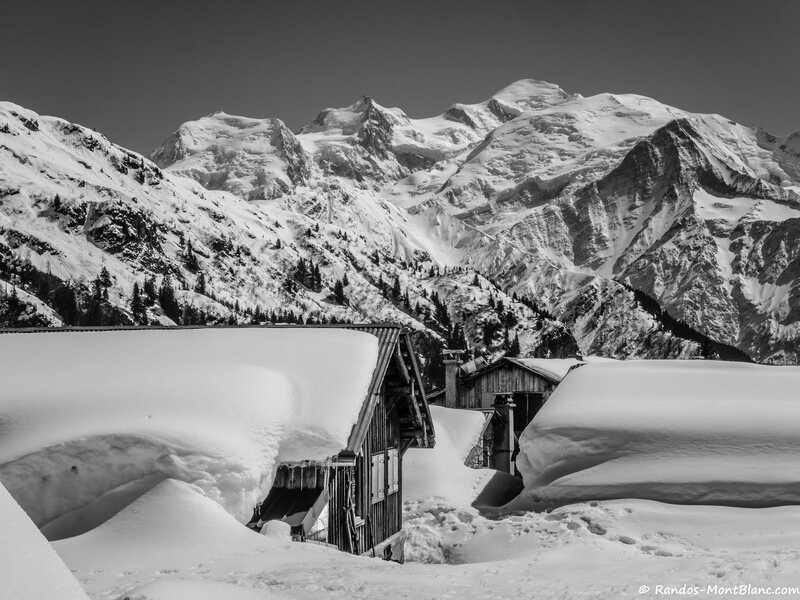 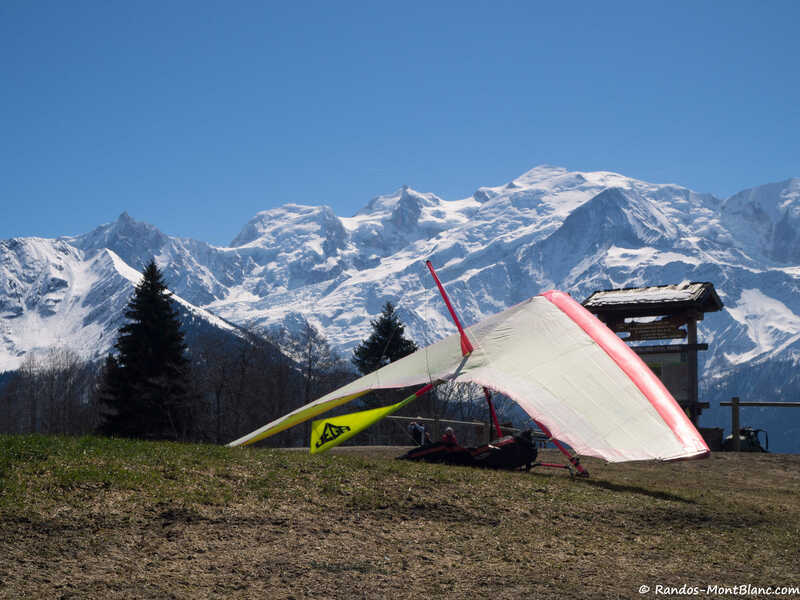 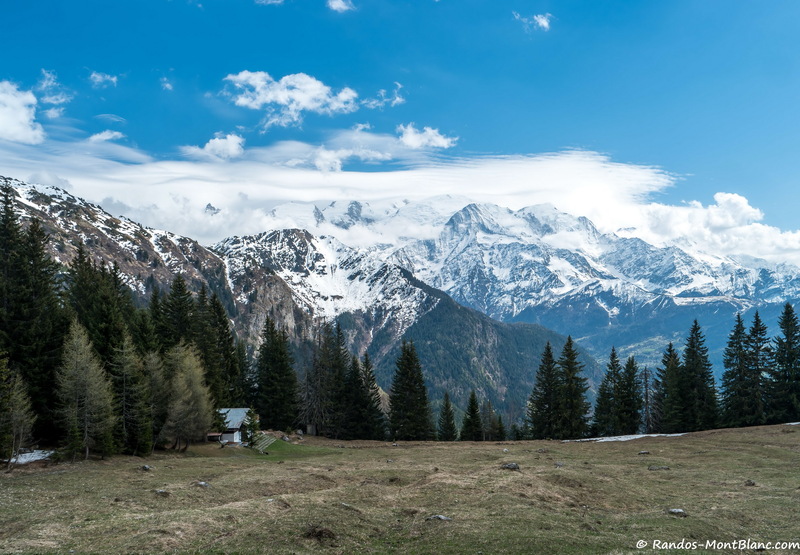 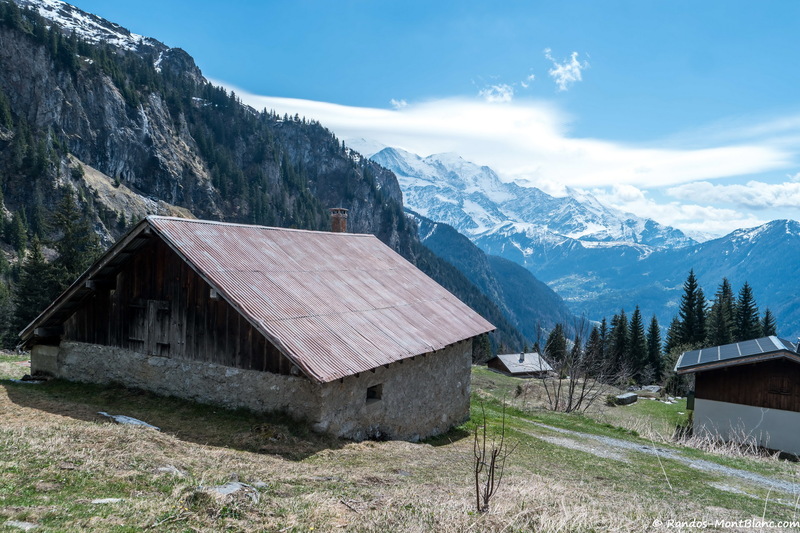 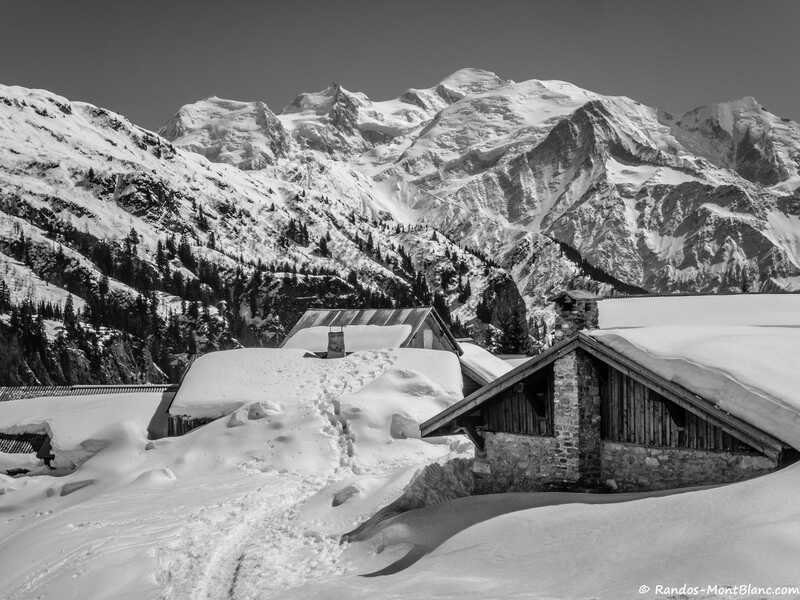 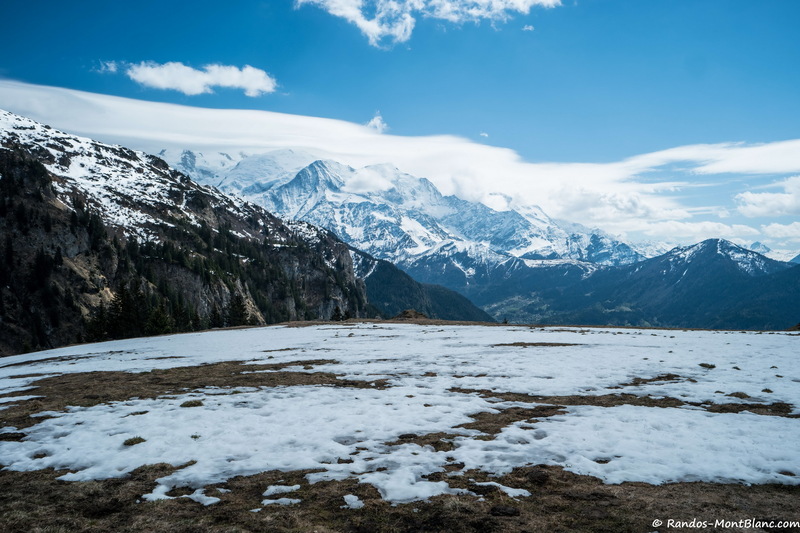 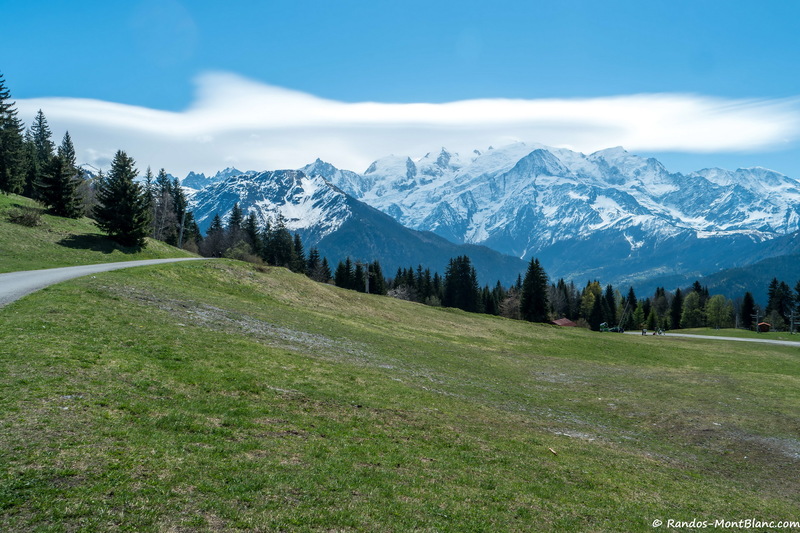 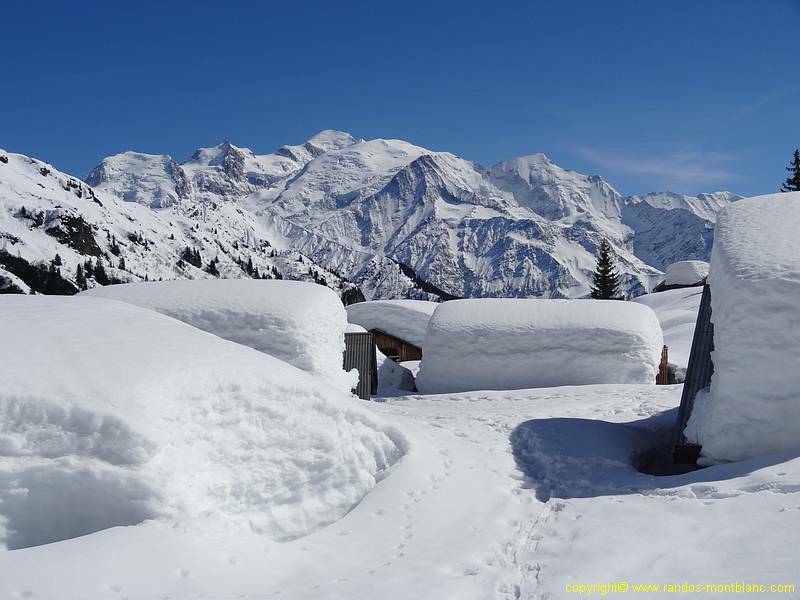 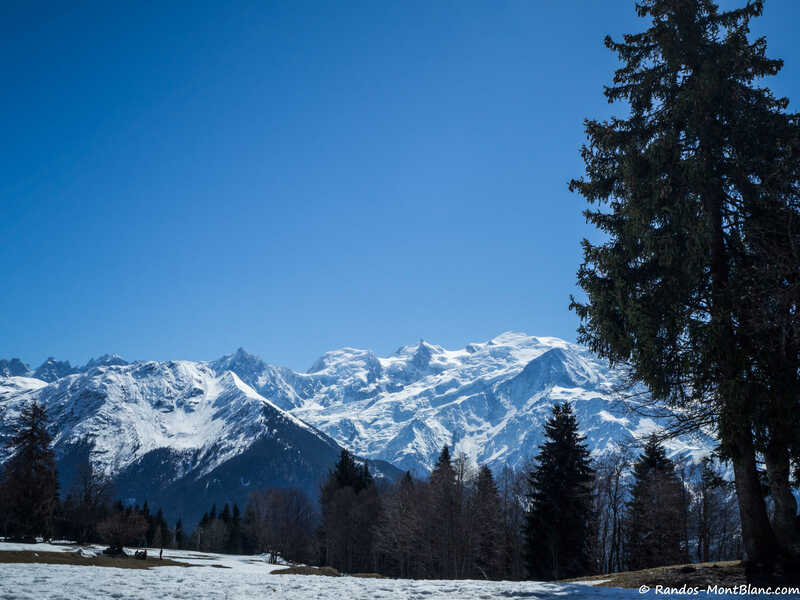 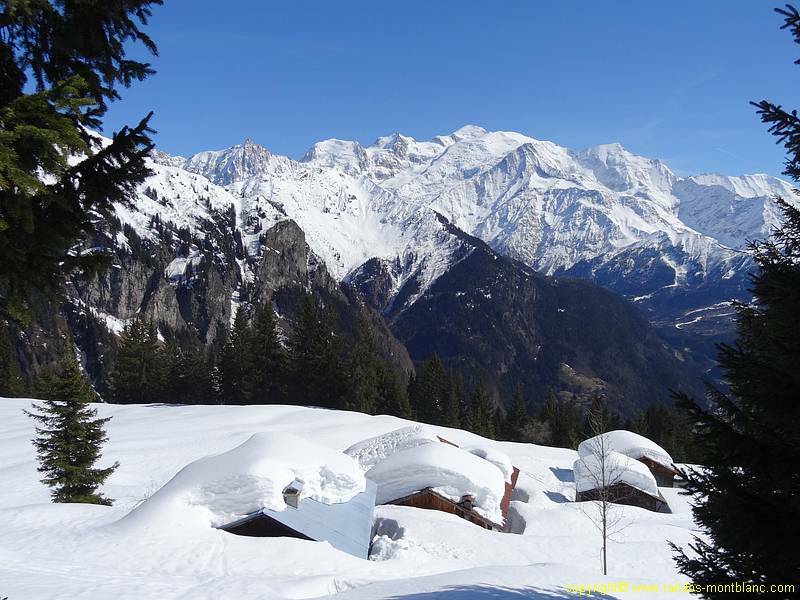 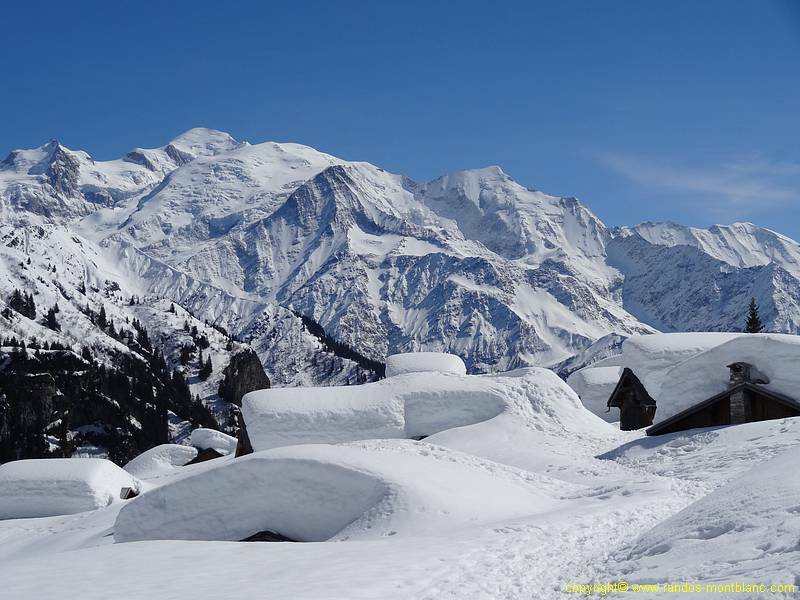 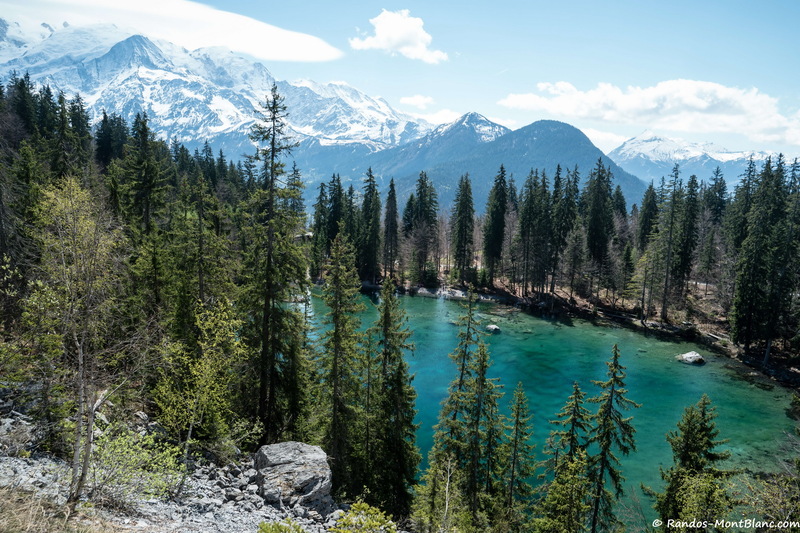 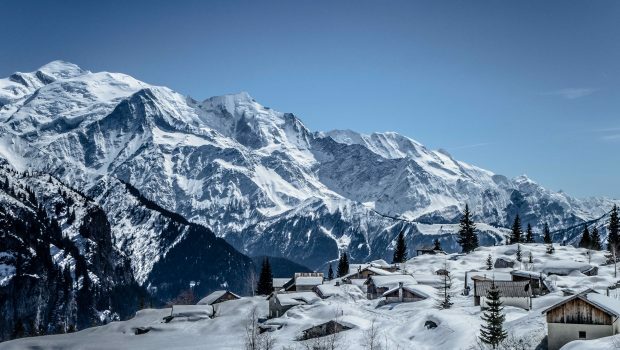 Located under the Fiz Massif in front of the Mont Blanc Massif, the route offers a magnificent spectacle that will constantly flabbergast the hiker. 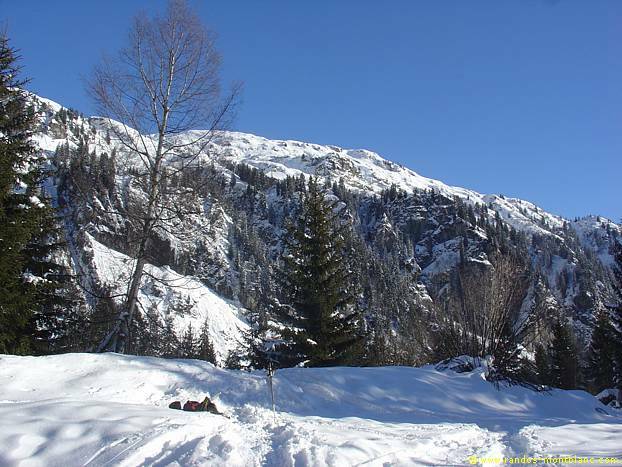 The course is intermediate, as it requires a certain physical condition and a bit of hiking experience with snowshoes or skis. 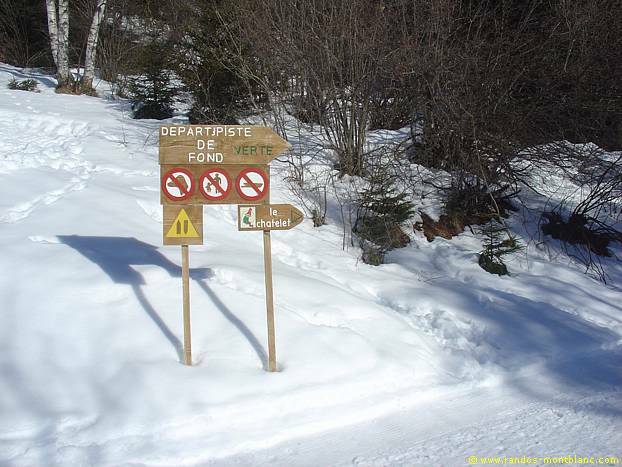 Several alternative routes are possible for the descent as depicted on the map. 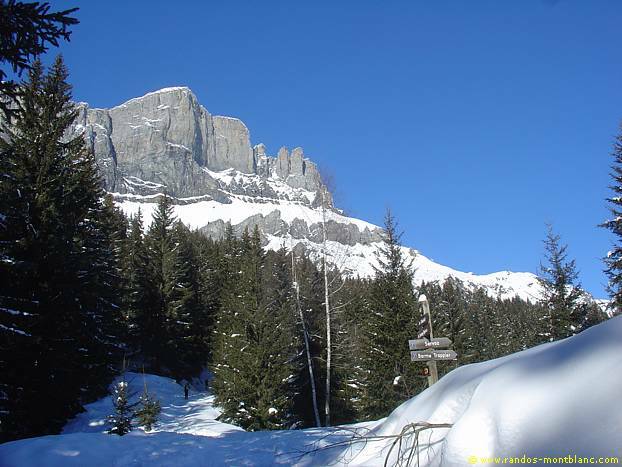 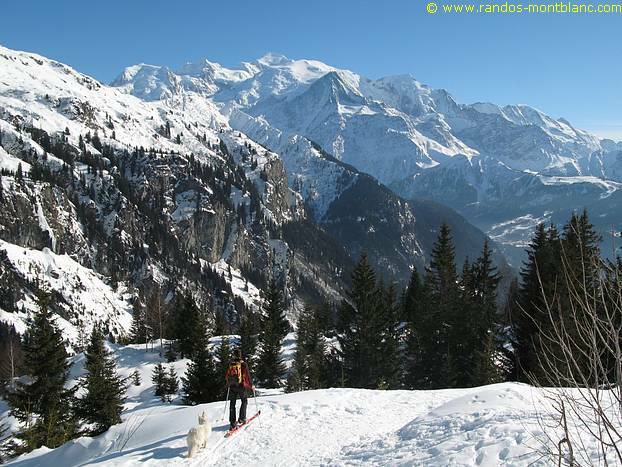 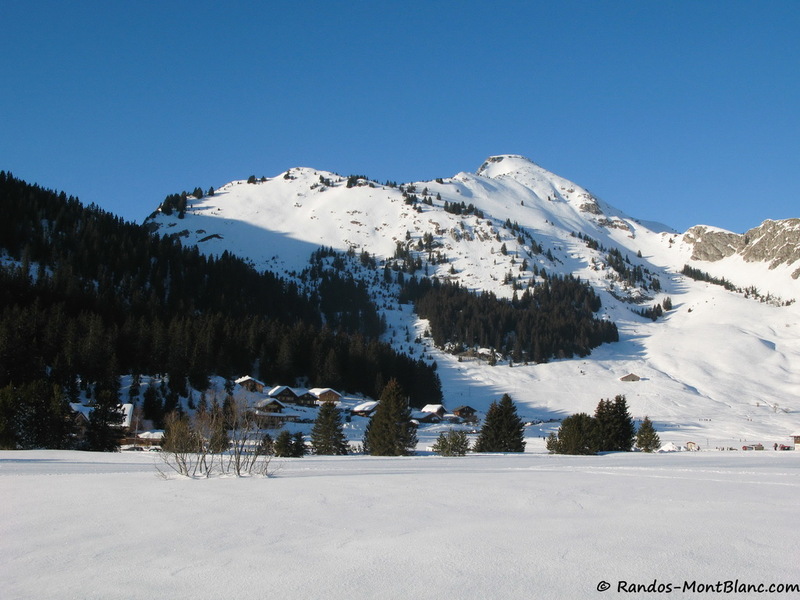 Reach Passy and follow the direction of the Plateau d’Assy then Plaine-Joux ski resort. 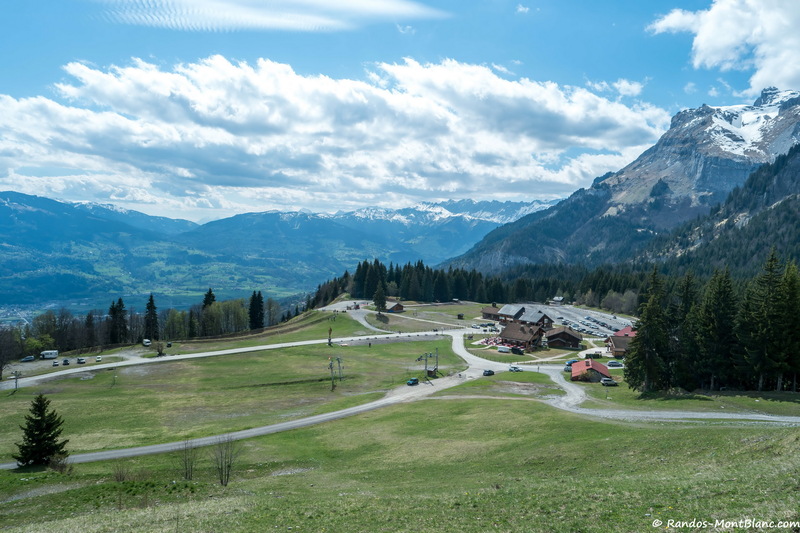 The departure is at Plaine Joux’s parking lot. 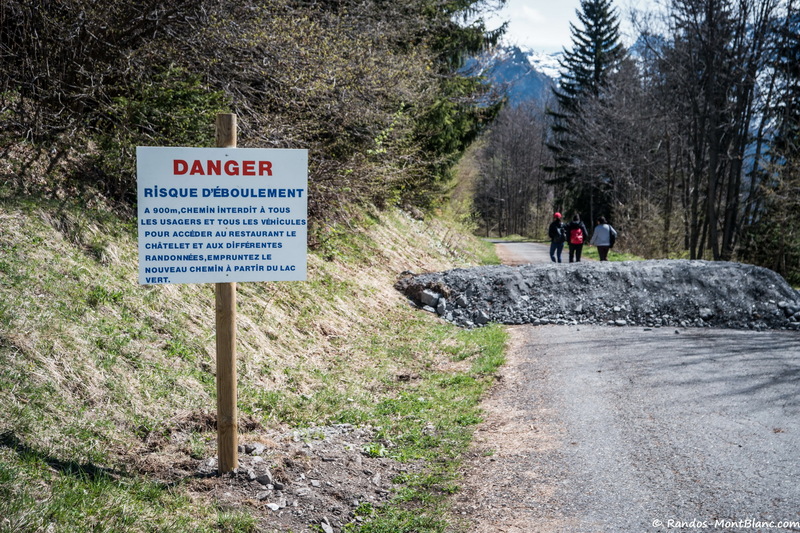 The asphalt road leading to the Châtelet d’Ayères having been the victim of landslides in May 2016, it is now necessary to pass through the Lac Vert to join the chalet restaurant as mentioned earlier. 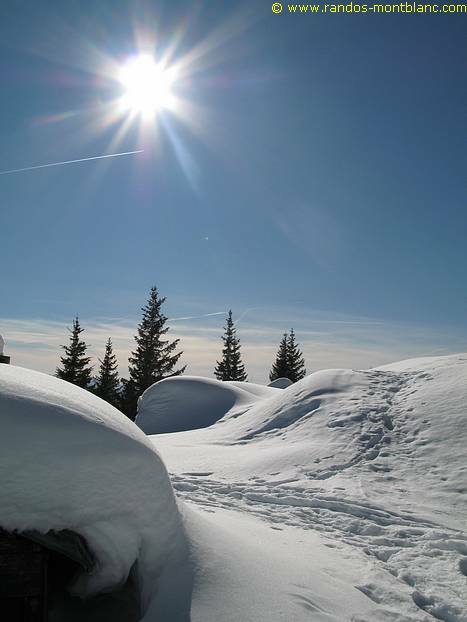 From Plaine Joux, follow the direction of Lac Vert. 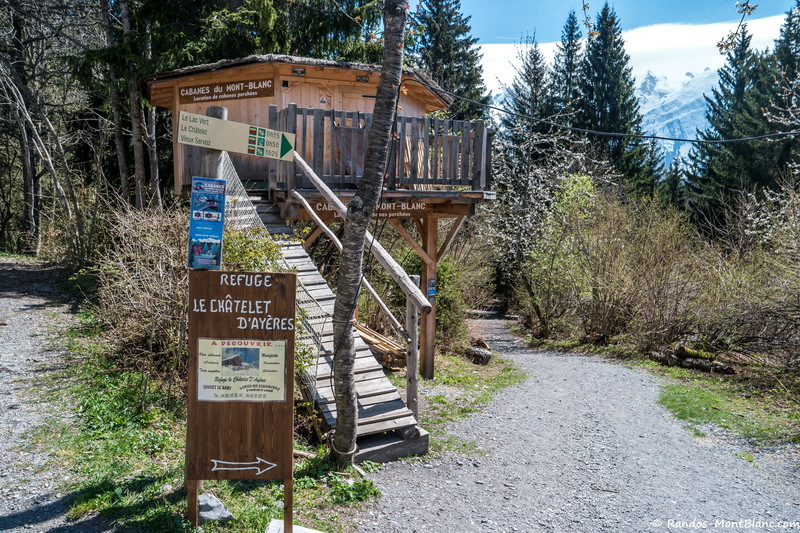 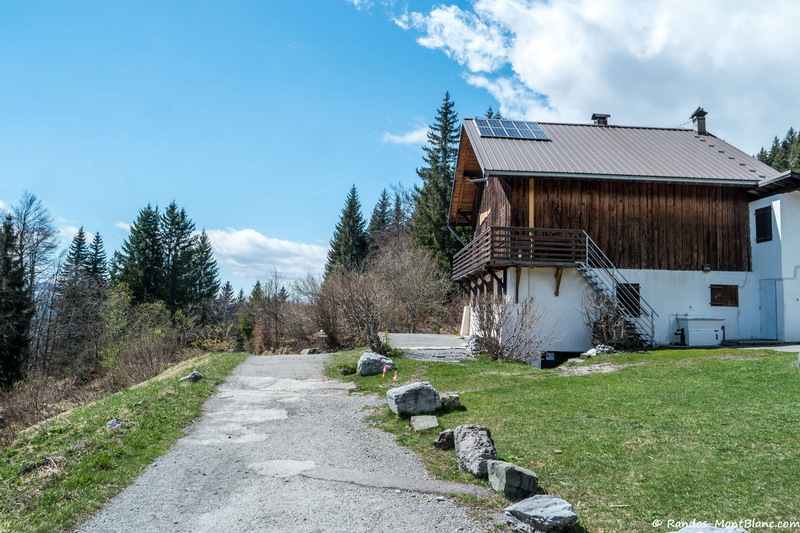 After a few meters in the forest, turn right once you arrive at the Cabanes du Mont Blanc to continue towards Lac Vert and the Châtelet d’Ayères. 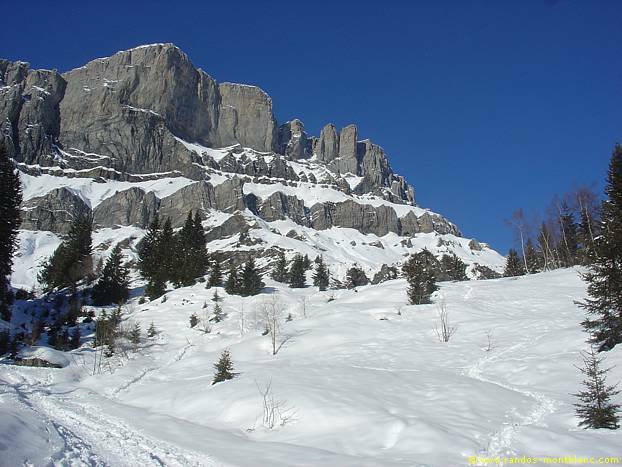 The path will descend a bit and then climb again to dominate the Lac Vert located below. 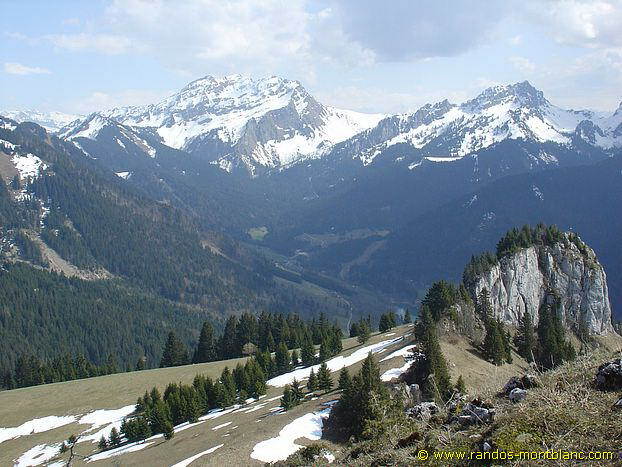 After a more steady climb on a forest track, you reach the Châtelet d’Ayères. 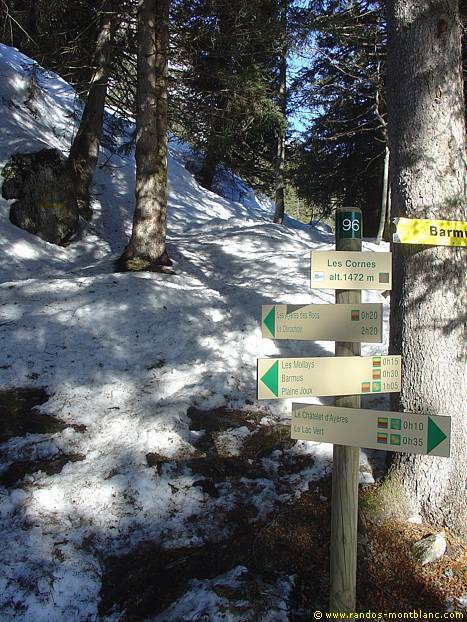 When you arrive at Châtelet, you will notice the path that goes left in the forest just before the terrace: it is one of the routes for the descent. 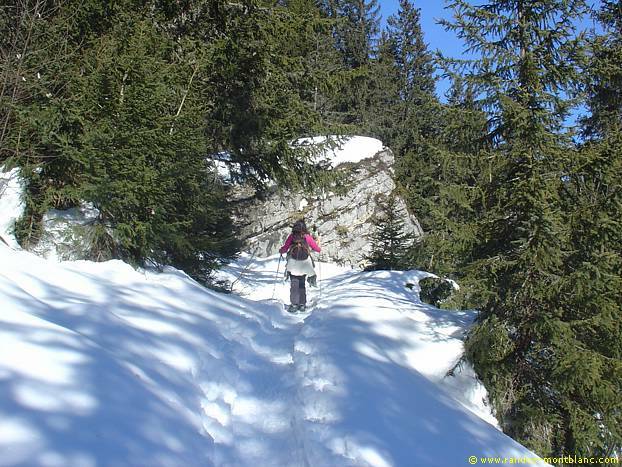 Continue the pathway that descends a little before going up towards the Chalets de Souay. 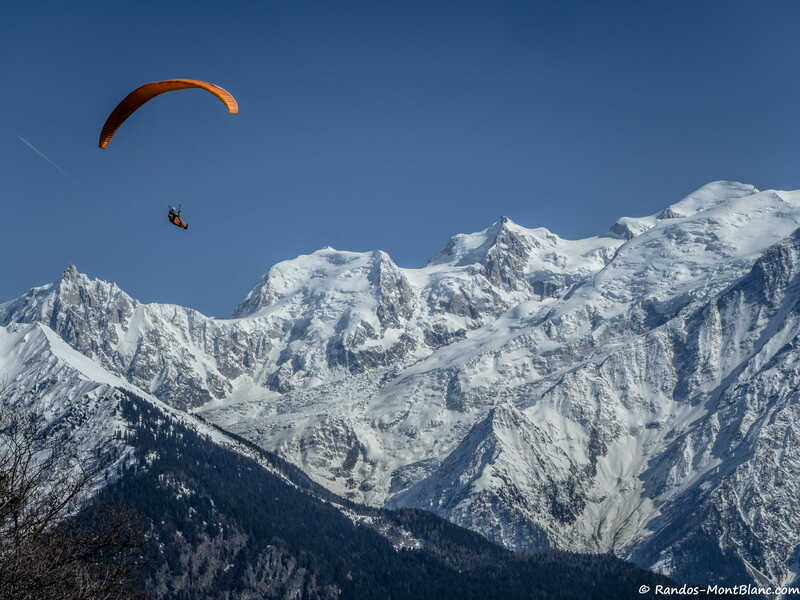 The slope is steep and the effort more constant. 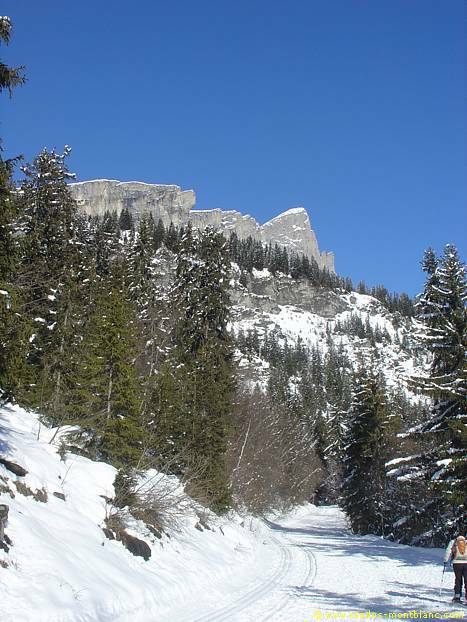 After a wide loop on the left, the track discovers the base of the Fiz Massif. 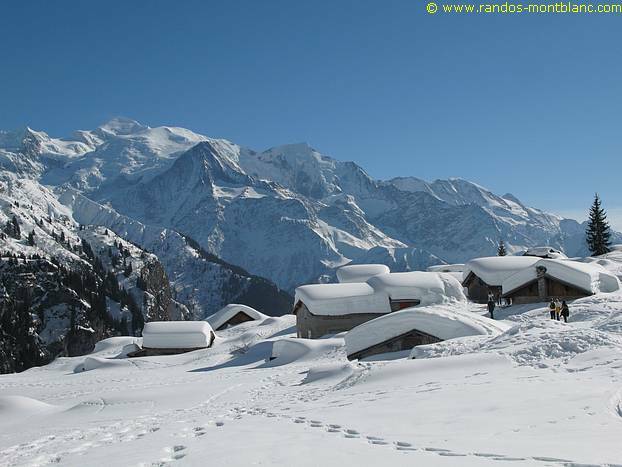 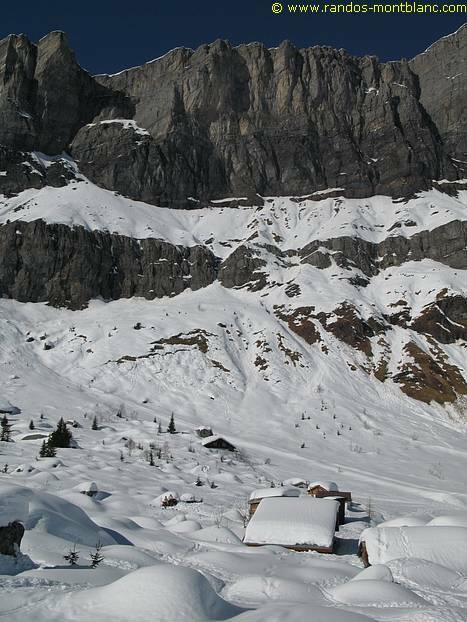 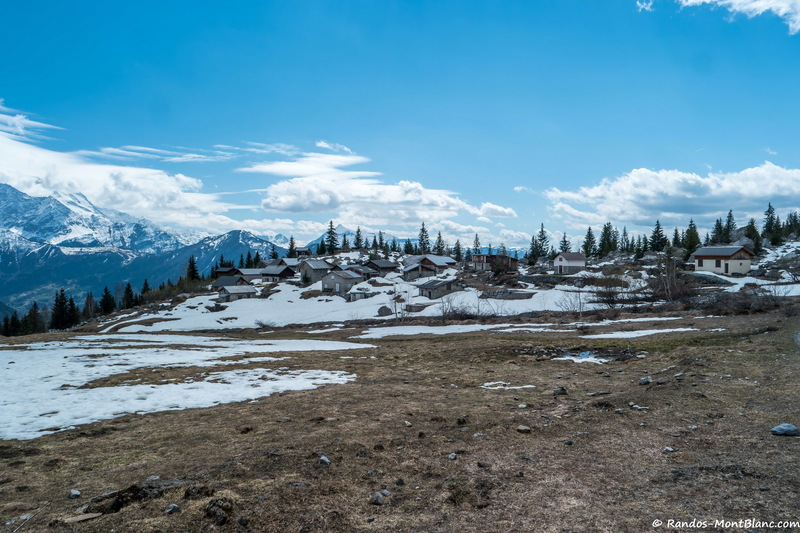 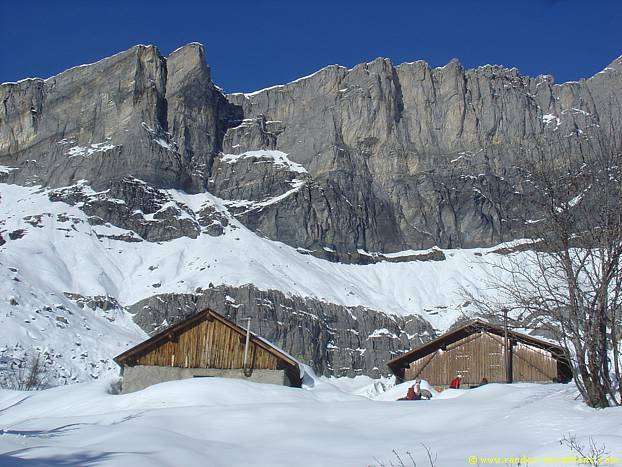 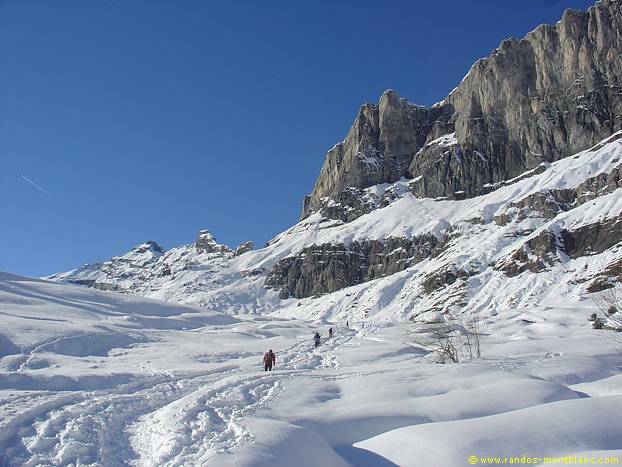 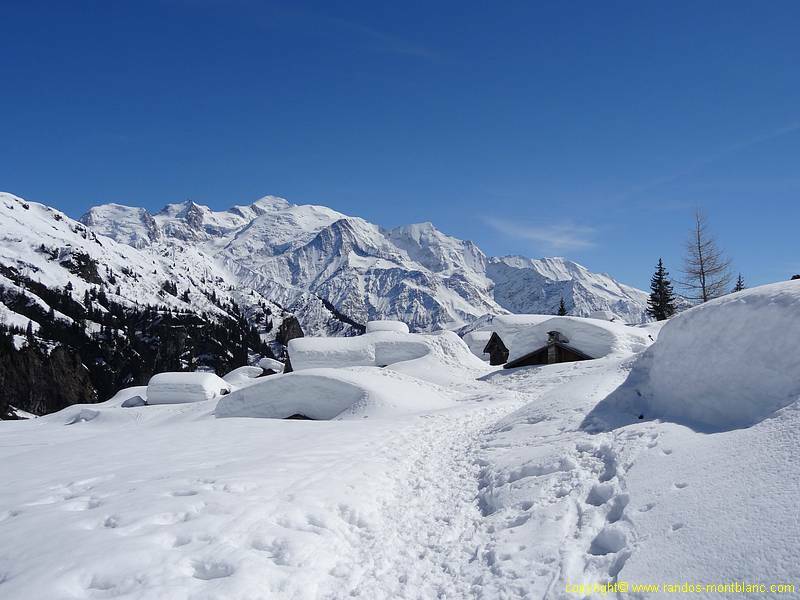 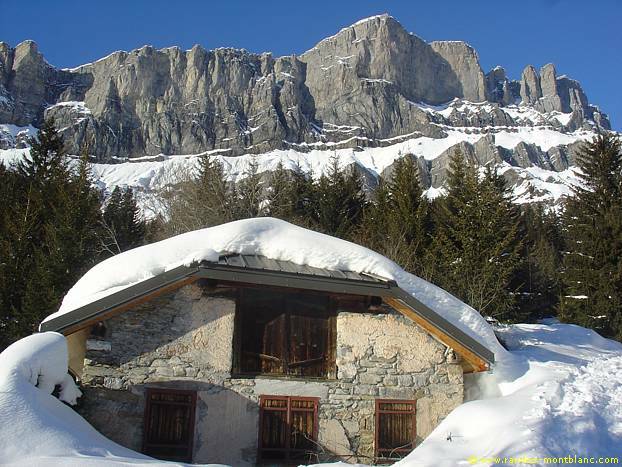 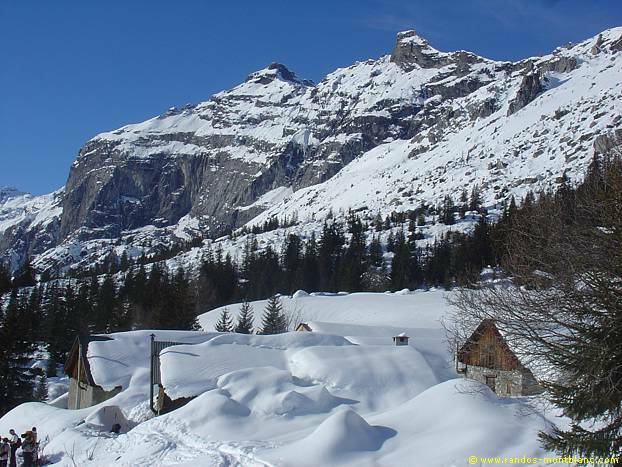 A steady climb allows you to set foot on a plateau with the Chalets de Ayères des Pierrières in sight. 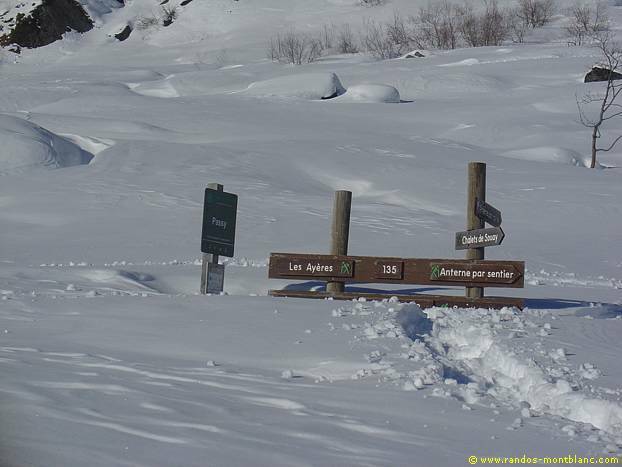 Get to them and proceed in the direction of Ayères des Rocs. 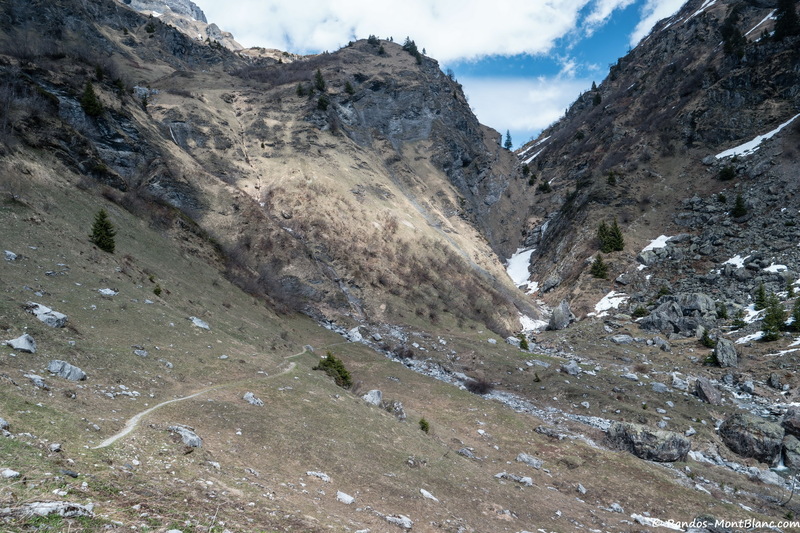 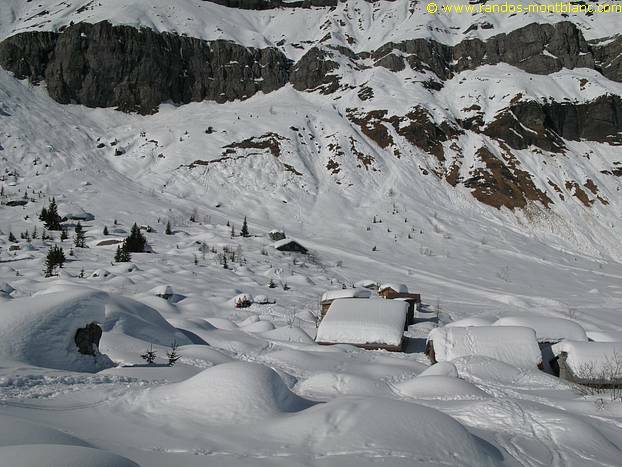 Follow the trail in front of the chalets and start descending towards Barmus leaving the footway on the left. 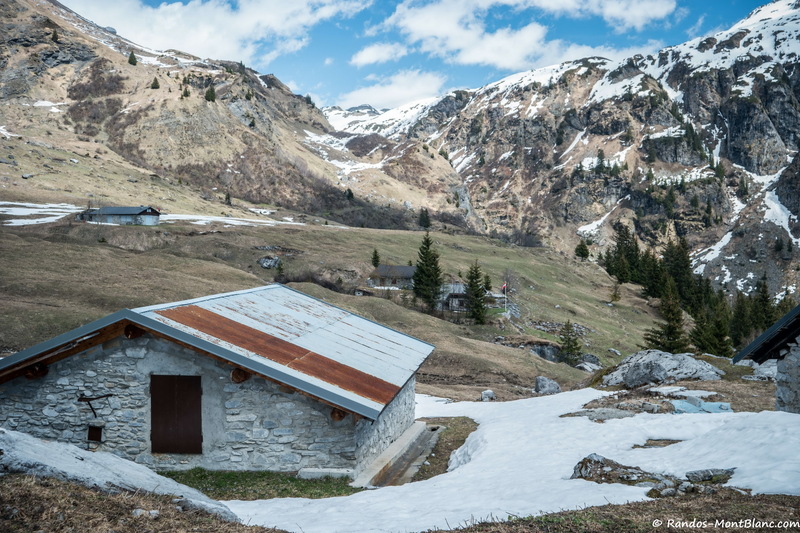 The pathway easily passes by the Chalets de Ayères des Rocs and approaches an intersection. 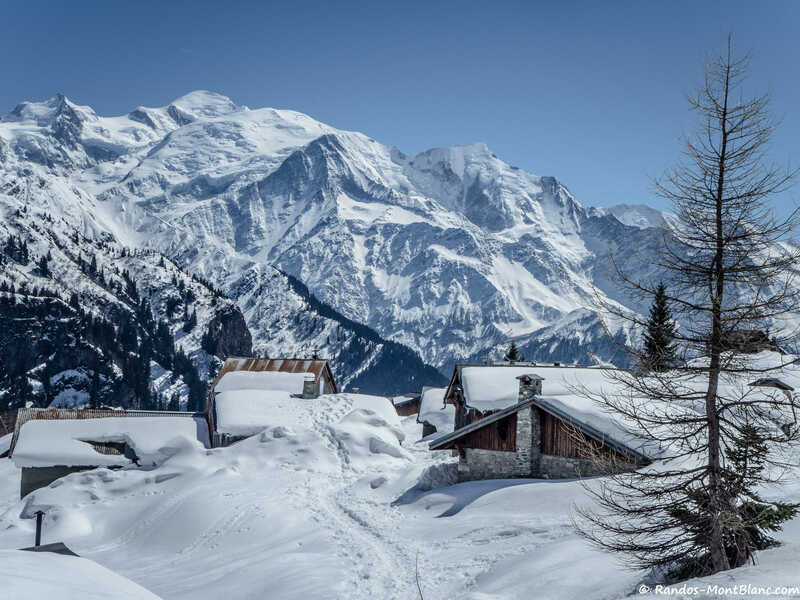 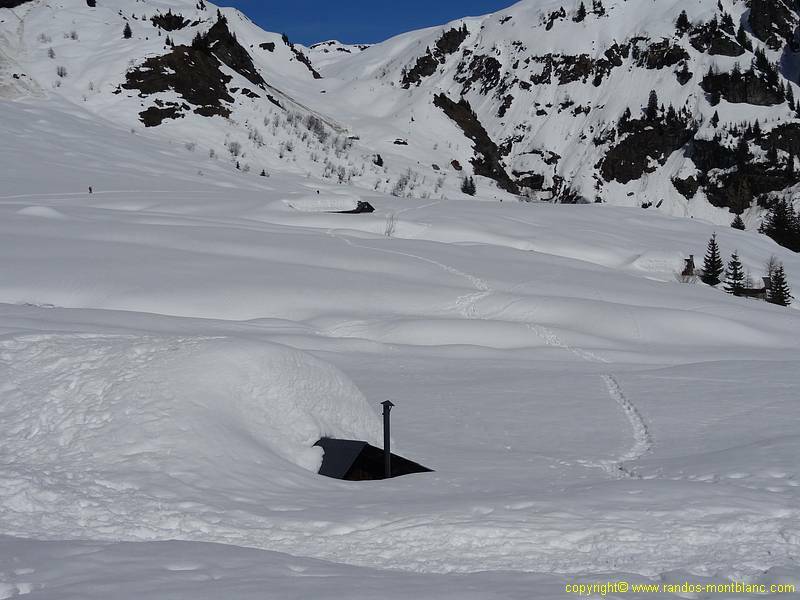 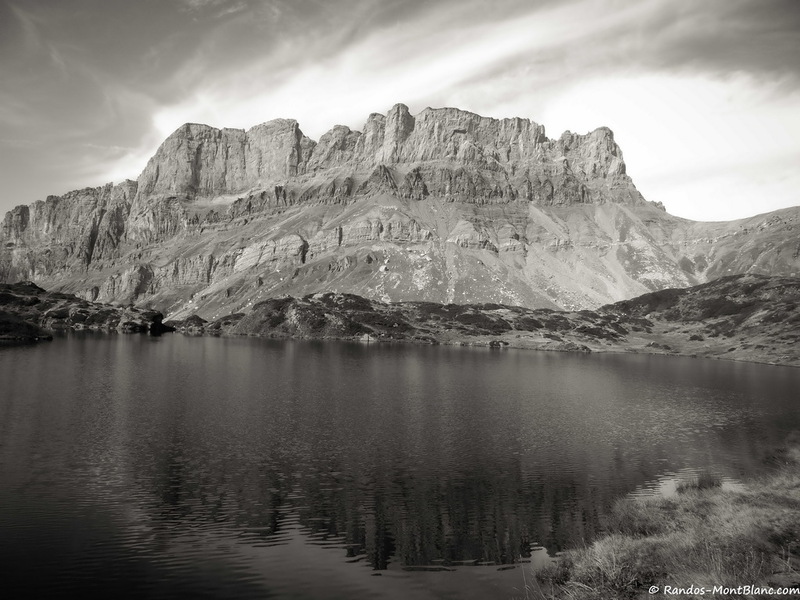 Two choices are possible: — either continue in the direction of Barmus, and you’ll return via a ski slope that leads directly to the parking lot; — or turn left and descend by a relatively steep path in the forest to get to the Chalet of Châtelet and return via the Lac Vert.